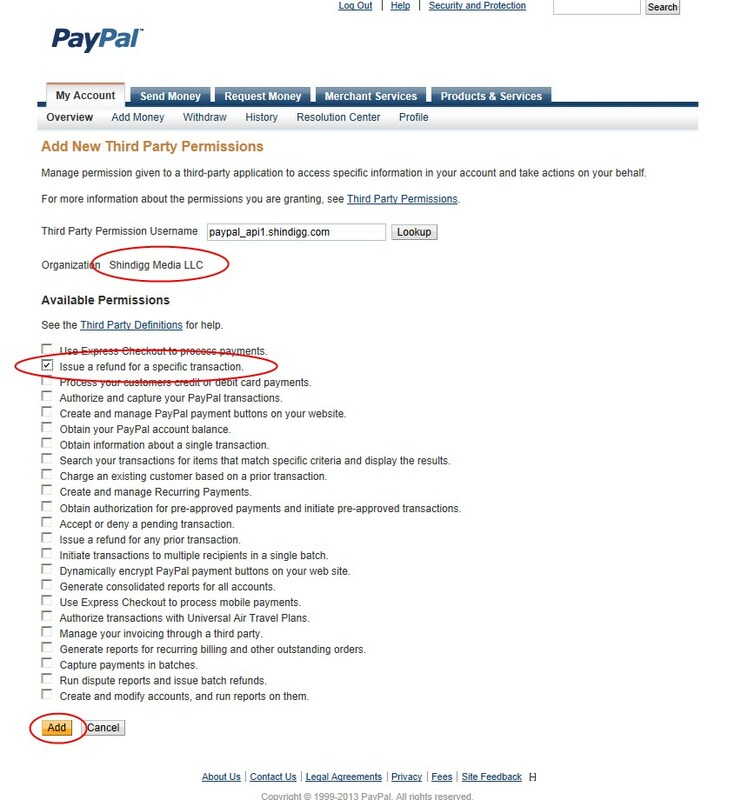 Click on the link to the Profile page. 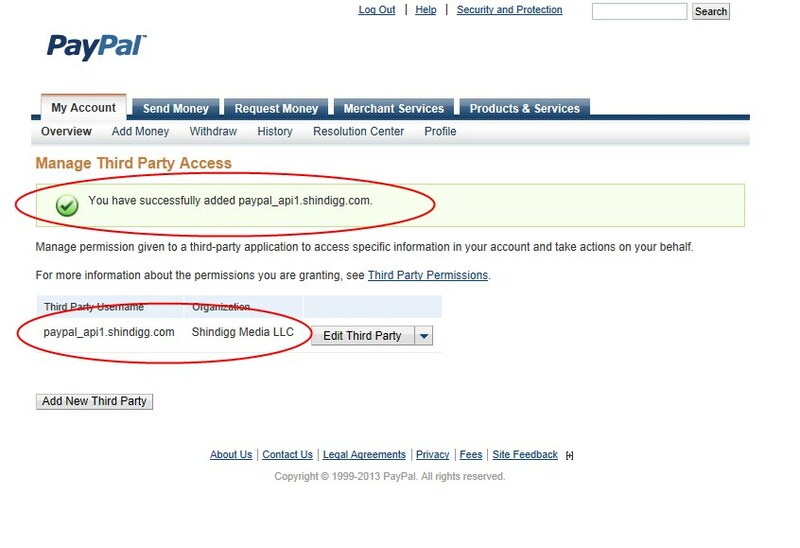 Click on "My selling tools" and then "Update" next to "API Access"
Click on "Add or edit API permissions"
In the "Third Party Permission Username" text box, enter the value paypal_api1.shindigg.com and click "Lookup"
Verify that the Organization is listed as "Shindigg Media LLC" and check the box next to "Issue a refund for a specific transaction" then click the button "Add". 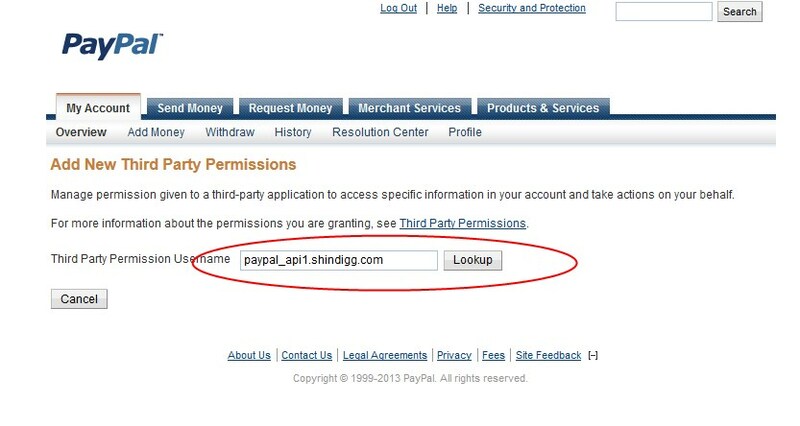 You will see a success message and an entry for paypal_api1.shindigg.com and Shindigg Media LLC will be displayed. 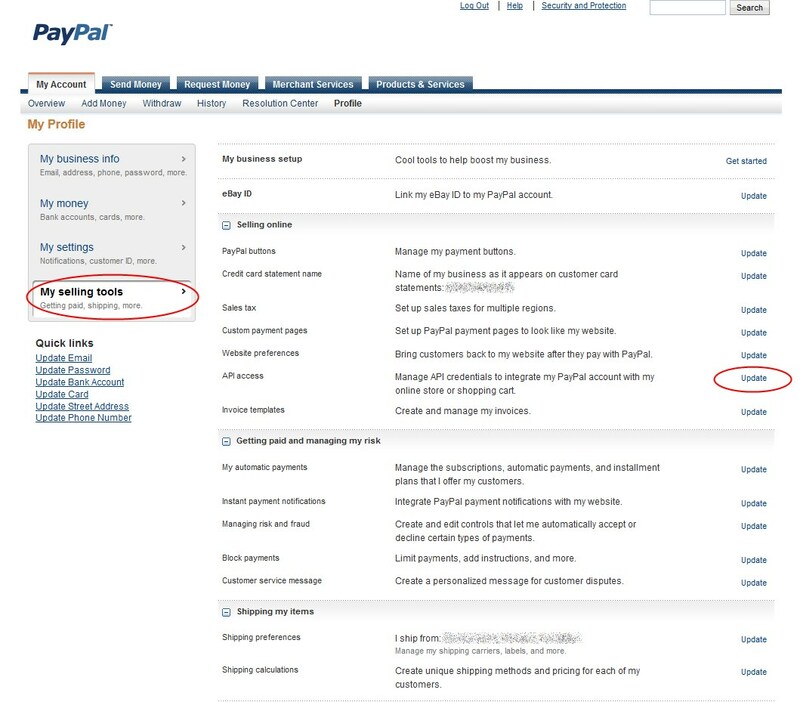 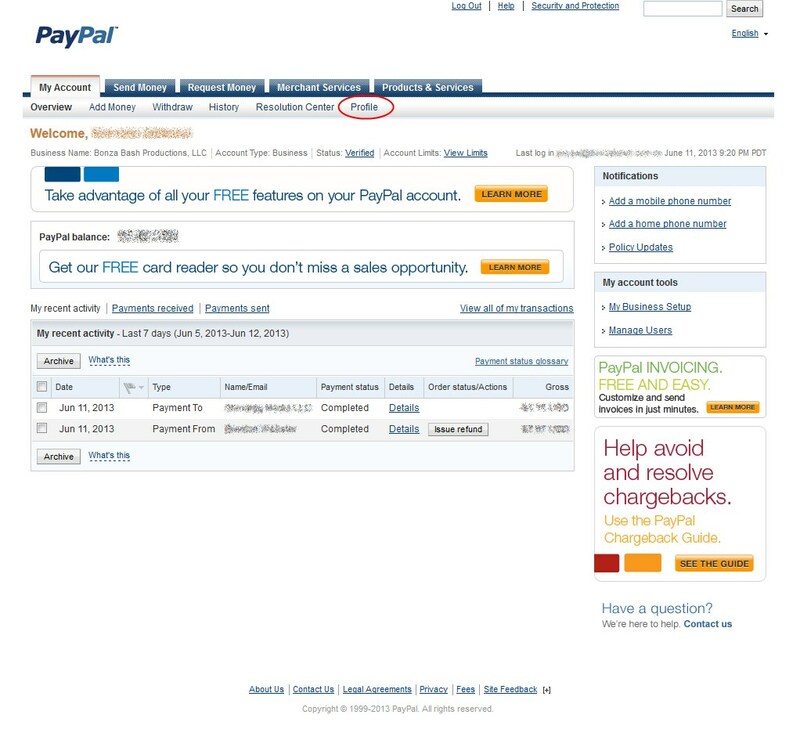 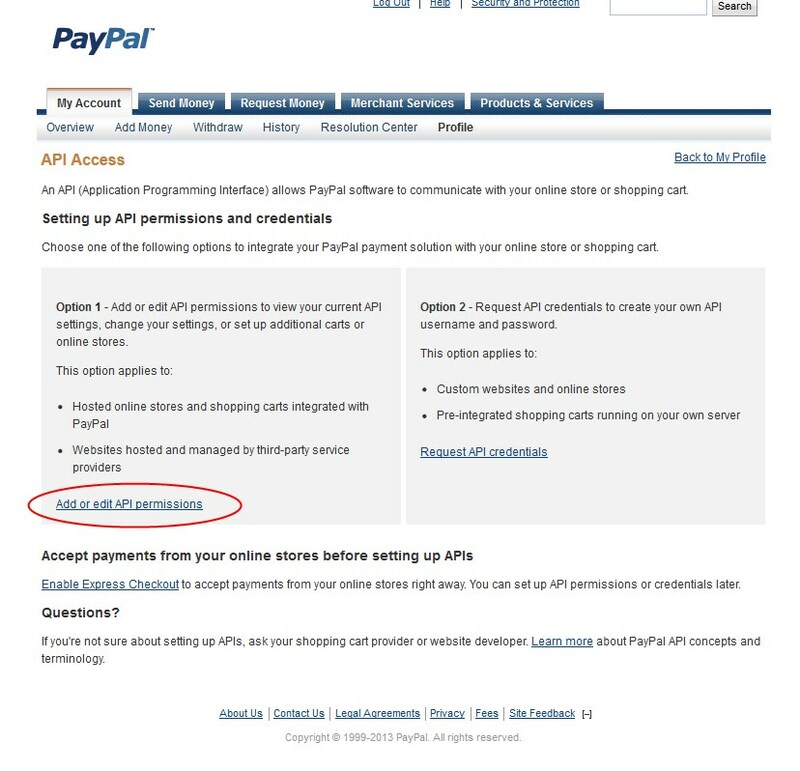 You're all set - now you will be able to process refunds for orders where your customers have paid using Paypal.